REVERSIBLE outfit! 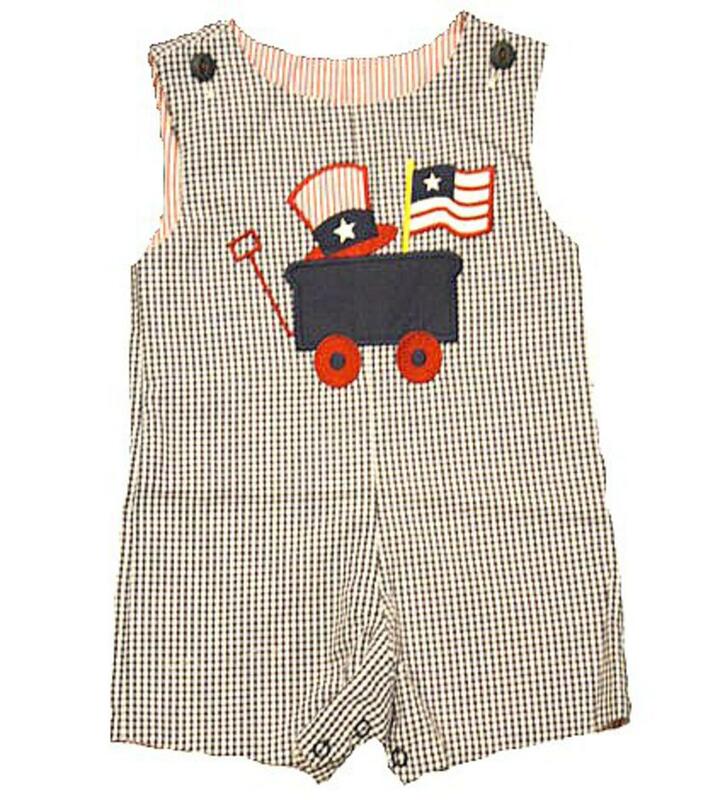 The navy and white check romper has a seers flag, wagon and hat appliqued on the chest. The reversible side of this romper is red and white seersucker with a sailboat inside of a life saver appliqued on the chest. There is two buttons on each shoulder of both sides and snaps on the inside of the legs to accomodate diaper changes. The reversible romper is also 100% cotton and ready to be worn for fourth of july as well as a summer dinner out!